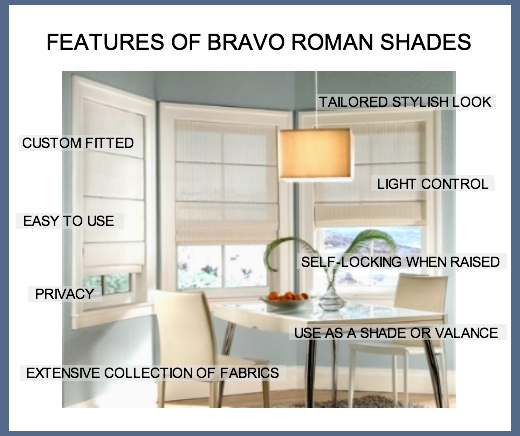 Bravo Roman shades are a sophisticated alternative to standard blinds. Our fabric shades are available in a wide variety of colours and beautiful designs. An elegant valance is formed when fully raised. 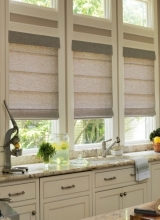 Bravo Roman shade blinds perfectly fit on all doors, including French doors.